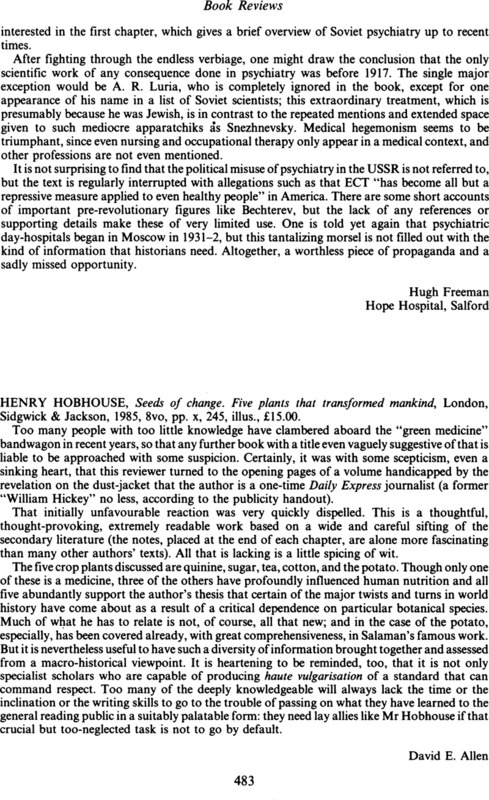 Henry Hobhouse, Seeds of change. Five plants that transformed mankind, London, Sidgwick & Jackson, 1985, 8vo, pp. x, 245, illus., £15.00.